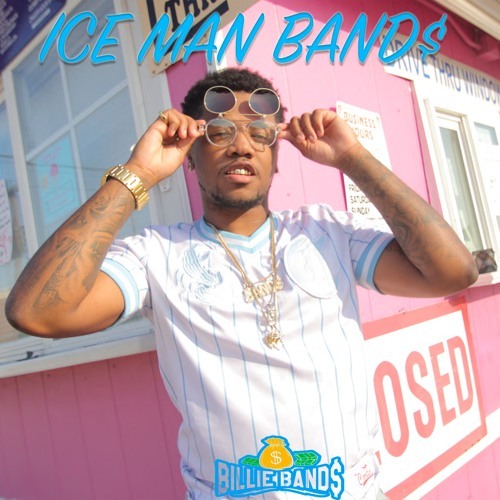 Billie Band$ - #ICEMANBANDS [EP Stream] - Hip Hop Indie Music: Support Indie Hip Hop Dreamers, Lifestyle. Formally known as Ace Young’n, the CEO & forefront of the GoldMindz brand movement, Billie Band$ has taken his style to the next level. Billie’s musical origins began in the soulful Louisiana before moving to Dallas, Texas where he formed a teen group by the name of “Swagg Team Vets.” Endeavors ended at the age of 17 promoting a move to Denton, Texas. GoldMindz quickly captivated the college party scene along with other events. In recent months Billie’s music has caught the attention of Waka Flocka, Migos, Torey Lanez, and OG Maco. His impeccable business acumen often references him as the next P. Diddy. Stay tuned for Billie Band$ greatest brand reveal as he’s guaranteed to blow any day now.